In New York State, sole proprietors hold all the power and bear full responsibility for their business decisions. Guided by the rules and regulations administered by the Department of State, many individuals start operating as sole proprietors because of the relative ease of starting a business on their own. If you want to sell goods or provide services in New York, consider some basic factors before getting started to improve your chances of a successful sole proprietorship. New York State does not require you to register or file documents when you open a sole proprietorship under your own name. Furthermore, New York does not distinguish between sole proprietors in their business and personal capacities. Therefore, you do not form a separate business structure when you start a sole proprietorship. 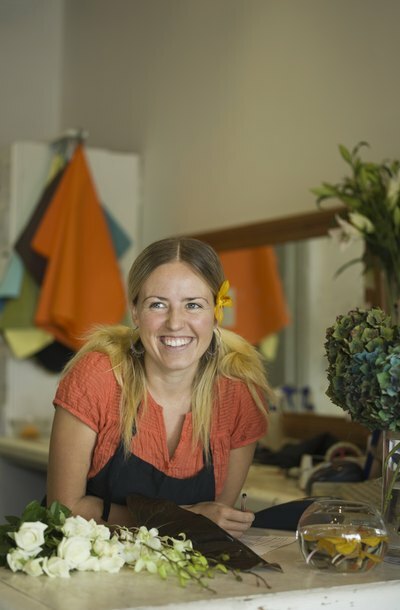 All of these factors make forming a sole proprietorship relatively simple and inexpensive. New York does not require you to apply for a license to form a sole proprietorship, but you are required to comply with any licensing regulations that govern your specific type of business. For example, state agencies license professionals in banking, legal and insurance industries, among others. Sole proprietors may have to demonstrate competence in a particular field before New York will allow them to begin operations. Some businesses are governed by city regulations. Therefore, sole proprietors must comply with all city regulations and licensing requirements. For example, the New York City Department of Consumer Affairs licenses many types of small businesses, including licenses to operate newsstands on public sidewalks and provide home improvement contracting services. Sole proprietors must apply for a Certificate of Authority to collect sales and use tax if the business involves the sale of taxable tangible personal property, rentals, certain services or purchases of tangible personal property for resale. Proprietors must contact the New York Department of Taxation and Finance to apply. Business owners must be prepared to provide the agency with sufficient and accurate information about the proposed business. Once the state grants the license, the proprietor has a duty to inform the public of its status by displaying the certificate. New York State allows sole proprietors to conduct business under an assumed name. To use an assumed name, you must file a Certificate of Assumed Name with the county clerk where your business is domiciled and pay a fee. Registering your name allows the public to know with whom they are doing business and increases your marketing options. Sole proprietors assume unlimited liability for their businesses, which is only meaningful if there is some way to identify the person behind the business. Starting a business can be complicated. In addition to hiring employees, finding a location and establishing clientele, new business owners must also ensure they properly register with government authorities and obtain all necessary government licenses. Without the proper registration and licensing, a business can face fines and penalties. Registration and licensing requirements vary between states and localities. If you run a business alone and do not form a company, the law considers you to be a sole proprietor. This style of business entity offers flexibility and minimal legal controls. One of the disadvantages of running a sole proprietorship, as opposed to a company, is that the owner is fully liable for all the debts incurred by the business. Washington laws require most businesses, including sole proprietors, to register with the office of the secretary of state. Further relevant laws deal with the choice of business name and anti-competitive business activities.